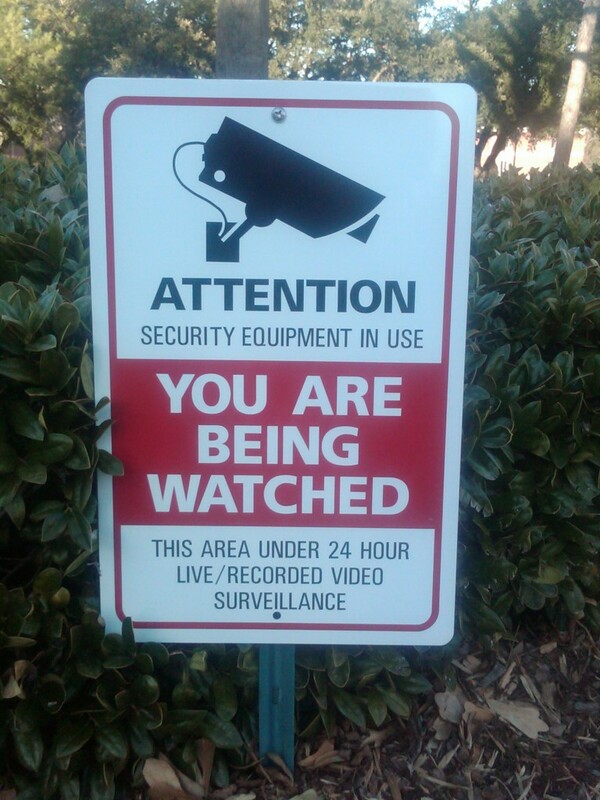 We are adding 30 more video surveillance cameras to the 89 we already use across the campus. These new ones will be at each of our 7 entrances. Tom Kelsey is leading our Men’s Basketball team to one of most successful seasons ever……and I’m sure Charlie Rugg and the players of that era are their biggest fans. Below is the story from the Clarion Ledger today. We have a huge game on Saturday night this week at Tougaloo 7:00 pm. Our women’s team shouldn’t be overlooked for they are also having a strong season at 12-6, and they also play that evening at 5:00. Maybe we can have lots of green and gold in the stands Saturday night. There’s a buzz around Belhaven basketball that hasn’t been felt in a long time. Tom Kelsey’s Blazers moved up to No. 12 in the NAIA poll released on Monday and then tightened their grip on first place in the Gulf Coast Athletic Conference standings that night. BU improved to 17-2 and 7-0 in the league by beating Spring Hill 77-63 at Rugg Arena. The program, which won 18 games last year, hasn’t had a 20-win season since 1977-78 in the heyday of former coach Charlie Rugg. These Blazers are deep, bolstered by an influx of junior college transfers. The leading man is Nathaniel Roche’, a 6-foot-8 junior from New Orleans who averages 12.9 points and 7.9 boards. But three others, including East Mississippi CC transfer Woodie Howard, average between 11.0 and 11.6 ppg. The Blazers will be tested over the coming days. Starting Thursday, they’ll play three GCAC road games in an eight-day stretch, including visits to Tougaloo on Saturday and LSU-Shreveport on Feb. 4. 1. I saw a draft of the new letterhead from Bryant Butler, and it is really sharp. It will come to all of us as a generic letterhead, with a word processing template that will put your individualized information in at the bottom, and it will look like it is printed. This will be a huge cost savings in that we can do only one run for the entire campus since none of us will have individually prepared stationery printed or stockpiled. 2. A new “BU” logo is in process. You’d think putting together two letters would be simple, but it’s not. Our marketing group is teaming with our graphic design faculty to get just the right look. 3. You may have noticed that the state’s signs on the interstate have been changed. 4. The graphic design students are doing an inventory of everything on campus, in print, and on the web that says College so that we can be sure to get them all changed to University. Our greatest fear as individuals and as a church should not be of failure, but of succeeding at the things in life that don’t really matter. The stories and pictures from Haiti are overwhelming. It is hard to imagine so much concentrated devastation. As bad as Hurricane Katrina was to our part of the country, those challenges were small compared to the magnitude of the the loss of life and the difficulty of getting help to these people who have so little even in the best of times. 1. Tomorrow, during our first chapel of the semester of the spring semester, we will have a time of focused prayer for Haiti. 2. One of our own Belhaven folks has a close connection to Haiti. Tabitha Martin works in our admissions office, and her husband works with The Fleury Foundation, whose mission is “to help the forgotten children of Haiti.” You can look on their web site for more info or talk to Tabitha. They have an orphanage, health clinic, and school. 3. Doug Stringer spoke in chapel last year, and has a wonderful ministry called Somebody Cares America. They are about the best I know in responding QUICKLY to people in need during a time of crisis. 4. Following any tragedy, especially one of this magnitude, many ask WHY. This morning I received a very helpful reflection about “why Haiti” from a friend of Belhaven, Dr. Jerry Seale, who is the CEO of the Evangelical Alliance of the Caribbean. 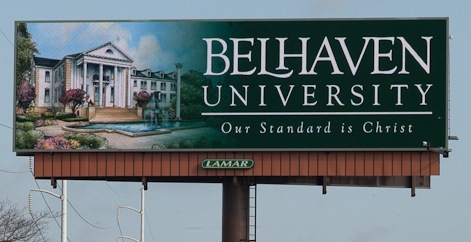 (His daughter graduated from Belhaven three years ago.) He is close to Haiti and his perspective is helpful on many levels. Every time a disaster happens anywhere in the world some within the Christian community tell us it’s the judgment of God being poured out on sinful people. It has become increasingly difficult for me to think in those terms. When Adam and Eve disobeyed God and sin entered the equation the entire creation was impacted. All creation fell and “groans and labours with birth pangs together until now” (Romans 8:22). Since fallen humans live in a fallen creation we can expect disasters like the Haïti earthquake to happen from time to time. Hence the term “natural disasters” as they can be expected to occur quite naturally in a fallen world. If one subscribes to a pre-millennial interpretation of end-time prophecy, then an increase in such tragedies would be expected based on Matthew 24:7-8. There are specific instances in the Old Testament where God used natural disasters to express His judgment on a nation or people. However, this was not the norm in ancient history. They too had their share of disasters occurring naturally in the context of a fallen world. So the earthquake in Haïti does not need to be placed in the context of a judgment from God. But what of this supposed covenant with the devil made by the Haïtians to gain victory over the French in their war for freedom and independence? That all depends on how the historical facts are interpreted. I used to believe just such a covenant had been made but have come to understand that there are valid interpretations of the historical events that do not include demonic covenants. The available evidence could be interpreted to have been a gathering of uneducated Roman Catholic – or even animist – slaves who sought, in the best way they knew, the help of God in obtaining their freedom and defeating the French, the British and then the Spanish. So why has Haïti seemed to languish in underdevelopment? Perhaps the reasons are less dramatic than satanic covenants. Here are three things that have had a strong negative impact on Haïti’s ability to develop alongside its Caribbean neighbours. Many in the Caribbean believe that the Haïtian revolution’s success in 1804 had a direct impact on the British Parliament’s decision to abolish the slave trade in 1807. The value in today’s world of these reparations has been estimated to be billions of Euros. This national “debt” severely retarded Haïti’s ability to develop economically. Given all of this, outlined here so briefly, there is no question in my mind that the heart of God aches over the devastation that has befallen Haïti as a result of the earthquake on January 12, 2010. It has been such an encouragement to hear persons in Haïti testifying in the news media to their confidence that it was God alone who saved them amidst the carnage. Surely God is “walking” the streets of Port-au-Prince. Hearing the singing of hymns relayed by the television news channels night after night in the parks and on the streets of Port-au-Prince since the earthquake has reminded me that about one-third of the population of Haïti is said to be Evangelical Christians. Some of the largest Evangelical churches in the Caribbean are in Haïti, with single congregations numbering in the thousands of members. Could it be that the earthquake in Haïti is nothing more than an egregious natural disaster? Is God willing to step into this calamity and give Haïti another chance to build a righteous nation? Does Haïti have a new opportunity to develop a transformed nation? With the help of the world pouring into Haïti surely we can build new and effective governmental structures, better schools and hospitals, efficient electrical and telephone systems, proper roads, habitable housing for all, delivery systems for potable water and a system of roads that will facilitate economic development. As I intercede for Haïti I have a sense of the Holy Spirit hovering over that troubled nation “as a hen gathers her brood under her wings” (Luke 13:34). I urge Christians everywhere to intercede for Haïti in the months and years ahead that God would enable her to rise to take her place among the nations as an equal. Let us pray that Haïti will move very quickly from disaster relief to national construction and that those who make the decisions will be endued with divine wisdom to make those decisions that will lead to a successful Caribbean nation replacing the almost failed state that Haïti had become. Pray also that the system of corruption that has seemed inherent in Haïti would have perished in the earthquake. May God fill Haïti with His glory. May His anointing flow down the streets of every city, town and hamlet of that country. May His people there find the courage and strength to step out by faith and build a new nation to the honour and glory of God Almighty. Permission is granted to publish this article as long as proper attribution is given to the author. Tonight our men’s basketball team beat the #5 ranked team in the nation, LSU Shreveport, by the score of 67-65. That’s our third wins this season going up against top 20 ranked teams. Congratulations to head coach Tom Kelsey and Assistant Coach Aiken, along with all the players. That should move us into the top 20 in next week’s coaches poll. Water Update #5 – THE FINAL REPORT!!!! The water is flowing at full strength on the campus, the heating systems are working, and the rest rooms and showers are fully operational. DINING COMMONS will begin serving at noon tomorrow and will be back on their normal schedule for all meals. ADMINISTRATIVE OFFICES will all be back to full strength tomorrow with the all staff back at work. We need to all be appreciative of our student life and campus operations teams who carried so much during this time to make fast adjustments to help us manage this challenge. I’m especially grateful to David Potvin and Wayne Green who oversaw the complexity of protecting our mechanical systems without water, and for Scott Little and Greg Hawkins who creatively helped to meet our student’s needs during this challenging week. Good news – we have some water. Bad news – we don’t have enough water. Full water pressure has been restored to much of the city, but as the mayor said, the highest areas will be the last to gain water service because the pressure needs to push the water up hill. When we sing in our alma mater “this dear green hill” I never feel like we’re on very high ground, but clearly we are one of the highest places in town. Hopefully through the day the water pressure will increase, but we can not yet turn on the heating boilers or use restrooms. CONTINUE TO BOIL WATER – Even when we do get the water back, the boil water notice will continue to be in effect at least for a couple days until the city lines have been flushed out and tested. Hopefully by Sunday it will be lifted. But until then, use bottled water for drinking, brushing teeth, etc. We have 6,000 bottles on hand, so we won’t run out. RESIDENCE HALLS – We will be keeping students in the hotel at least one more night. Hopefully tomorrow we will be ready to have them move back on campus but we won’t make that determination until tomorrow morning. CLASSES BEGIN MONDAY MORNING – We have a great deal of class time to make up but our faculty are creative and I’m sure they will find a way to squeeze it all in. I know they are working hard so that hopefully we won’t need to take the time from our spring break or extending the semester. MARTIN LUTHER KING JR. DAY – For many years we’ve always set aside MLK Day as a time to celebrate his life by joining together in a service project. This has been a high priority to me and to the campus because of the importance of all it represents. But I also know that Dr. King believed the path to the future was through education, and in fact earned his Ph.D. in Systematic Theology from Boston University. So I think in light of the unusual circumstances he would agree with the decision to be in class on this Monday, especially because our type of education is what he believed was most important – “The function of education is to teach one to think intensively and to think critically… Intelligence plus character – that is the goal of true education.” So, for this year only, we will honor his legacy by making best use of the vital class time that has been missed. Further, with the turmoil in the city over the water situation and many of the non-profit groups we help on MLK being exhausted from their efforts to help others during this time, our pushing ahead might put a strain on them rather than being helpful. Other groups we team with have been closed all week, and I’ve been told we can’t even communicate with them to properly prepare . I trust you’ll understand that this decision is made in light of deep respect for the importance of MLK day, and to assure your education is as strong as possible. We have many service projects all through the year, and will look at adding in some special projects this spring to give us more opportunities to serve our community. CHAPEL CREDIT – Because we will not have our MLK Service Day Project (the only time all year we give two chapel credits) there will be two less opportunities for students to earn chapel credit this semester. Thus, instead of the normal requirement of 12 chapel credits during the semester, we will require only 10 credits during this spring term of 2010. We will have our regularly scheduled first chapel on Tuesday next week, and Dr. Sandy Wilson, pastor of 2nd Presbyterian Church in Memphis will be our speaker. See you Monday morning . . . looking forward to a wonderful semester. Following up on question raised by several students – MONDAY IS NOT A SERVICE PROJECT DAY. REGULAR CLASSES WILL BEGIN MORNING. The good news on the water front is that the city is beginning to get water pressure restored. At my house, we’re about half the pressure of a normal time. But on the campus we still have no water pressure, and thus will not have heat back on today for sure….maybe not tomorrow. To help in the planning for students and faculty, we are canceling adult and graduate classes for the remainder of the week. The traditional students who are still here were glad to be in the Sleep Inn last night, instead of the very cold temperatures of our buildings. The weather forecast projects a warmer day, but students will stay off campus until we get water pressure restored. We continue with a limited staff on campus to handle registration, so offices are open if students need assistance….just wear your coat! The basketball games scheduled for tomorrow night are still on. There is heat in the gym, but no water. We continue to expect that we’ll be ready to go for Sunday move in time for students, and Monday morning classes to begin on time.